The use of plastic is a growing problem. While it has been of great use to mankind, it’s one of the many pollutants that have been turning into a disaster. First and foremost, plastics are mostly made from petroleum or natural gas which is a non-renewable resource. It is processed by energy-intensive ways that can destroy fragile ecosystems. Since plastics are non-biodegradable, it can only be destroyed by incineration that pollutes air, land, and water. Plastic packagings are one of the biggest forms of waste that are eaten by marine and land animals. It is our responsibility to try use less plastic in every way possible. Yes, even shampoo is in a form of bar now. 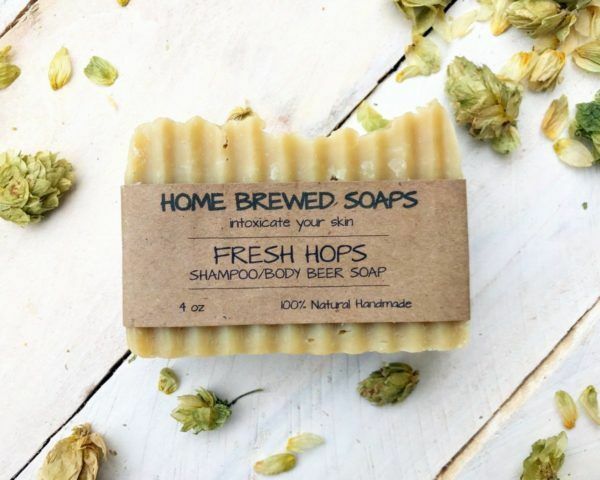 It’s no longer just soaps! The best part is that it doesn’t come in a plastic bottle. It lathers the same as a regular liquid shampoo and depending on the brand, it can even smell twice as nice. If possible, try looking for companies that produce recycled box packagings. If you’re feeling adventurous, you can even DIY! The fun part is that you can customize it however you want to. From the scent even down to the shapes, you can be creative with your shampoo bar. Not to mention, that’s one less plastic polluting our oceans and lands. This exists too! They function just like a normal deodorant would, except that it’s a lot more eco-friendly because it comes in a glass jar that you can re-use for different purposes. It comes in a balm-like or cream like consistency and it’s such a breeze to use just like your usual aerosol or roll-on deodorant. If you really want the average roll on type, there are companies that sell recycled paper packaging. I’m sure that you use cotton pads whenever you would do your beauty routine. But these cotton pads always come in a plastic bag. Since the point of this article is to lessen the use of the plastic bag, I’m highly recommending reusable cloths instead. After using it, you can just wash it off and let it dry. Most eco-friendly companies sell them package free as well. Not only are bamboo brushes twice as sturdy compared to plastic ones, they’re eco-friendly and biodegradable. Personally, whenever I’m choosing brushes, I prefer ones that are high quality and would last a lifetime. It would also save me a couple of bucks because I don’t have to keep replacing my brushes with new ones too frequently. You’re not just saving the Earth, you’re saving money too! To sum this up, it’s better to use reusable packaging for your beauty products. If it comes in paper, wooden or tin can package the better. If your favorite brands don’t come in these packaging, maybe you should re-think your choices. With the current state our environment is in, it’s better to think of long-term effects and preserving the Earth for future generations. Our personal decisions can have a big impact on the environment. Here’s a great Pinterest board from Urbanette Magazine full of chic alternatives to plastic. I really love bar shampoos and conditioners. I also think that they last longer than liquid ones. Those reusable facial cloths are really nice! It can be a little troublesome because you have to wash it off every time, but if it saves the planet, then why not? Lush sells amazing bar shampoo that smells so heavenly. I love eco-friendly products like this. The only makeup brush that I know that sells bamboo is eco tools though. 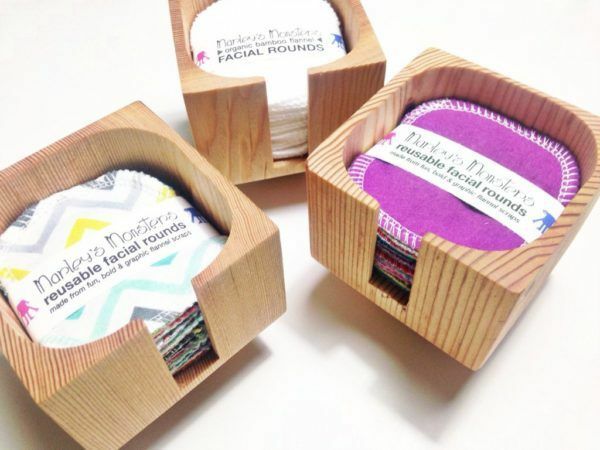 Those are adorable reusable facial rounds! And the packaging too! I love the wooden packaging.? Very interesting products. I hope that my favorite cosmetic brands will have options like this as well. Especially for moisturizers, creams, etc. Reusable packaging would be nice. Companies should just come up with durable containers that you can reuse as much as possible. Then you just have to go to their shop and let them refill it instead of purchasing another bottle or container. It would teach a lot of people to recycle and not just throw off containers in the trash. That’s a really nice idea. The Body Shop does that but not all year round. The concept is similar. Great article. This can teach most of us to be eco-friendly with our choices. But the thing is, there aren’t many brands that offer this. Popular brands don’t even have this. Deodorant in a jar seems a little weird. I hate the feeling of having products on my fingers. I would hate to have a separate applicator just for that. I’m loving the concept of those reusable facial rounds. I always purchase mine almost every month because of my skincare. Using reusable ones would be cheaper. I recently saw this article about how wet wipes are also one of the most prevalent causes of pollution. Wet wipes are mostly included in our beauty routine and I think that cleansing sponges should be used instead of taking your makeup off with wipes. Those reusable cloths can be used in so many ways, not just skincare. This is really a brilliant idea. I haven’t really seen deodorant jars anywhere. So I really hope that options like this will be available everywhere so we can start doing the right thing. We should also start ditching luxurious looking packaging just for the sake of it. We should just opt for something that is more than just the cuteness of the plastic. Yes, this is exactly what a lot of beauty enthusiasts go for. Luxe packaging! Nice, this is a really great idea. Most of the brushes I own aren’t wood. Most of it is plastic but I do have wood but not bamboo. I don’t even know if it’s biodegradable.